Tasteful Craftsman bungalow in Woodland Heights. This stunning home offers character & charm with modern updates, including a new high efficiency AC and furnace, electrical code update, fresh exterior/interior paint, new driveway/parking pad & a roof that was replaced in the last 5 years. 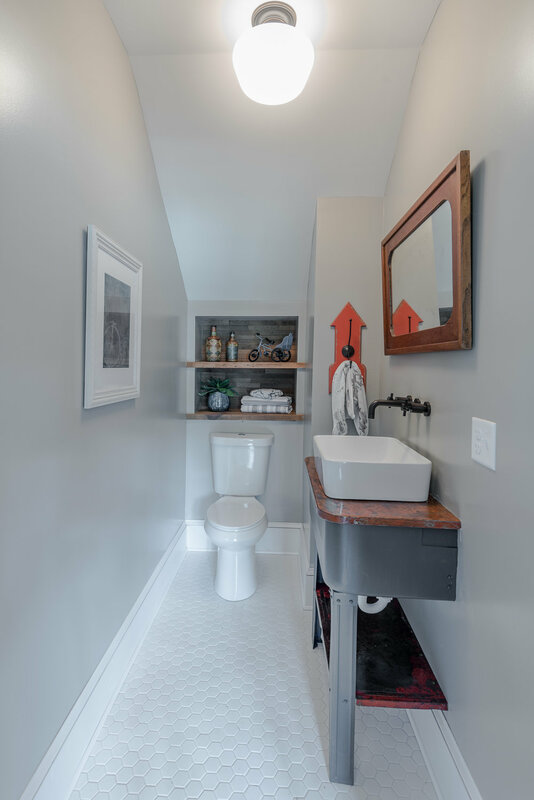 Walking in the front door of the 3-season porch you will be greeted by refinished hardwood floors, wide original Craftsman trim, open living and dining area, and a half bath with wood accents & repurposed vintage wash basin. The designer kitchen has whitewashed hardwoods, exposed brick, on-trend farmhouse sink, stainless steel appliances, quartz countertops, subway backsplash & a chef's 5-burner gas range. Convenient 1st floor bedroom. 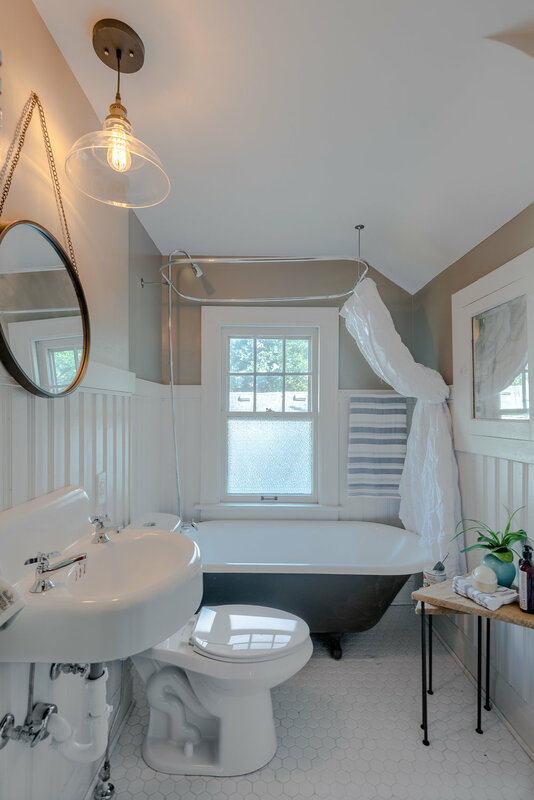 Upstairs are 2 additional beds & a full bath with clawfoot tub and wooden beadboard wainscoting. The original carriage house can be used as a garage and has new cedar shake siding, custom barn doors & historic work tables. Entertain your friends and family on your new patio under the reclaimed pergola w/outdoor lights. Just minutes from downtown & the Ingersoll District.